Here’s a great welcome drink that’s cost effective during Ramadan. 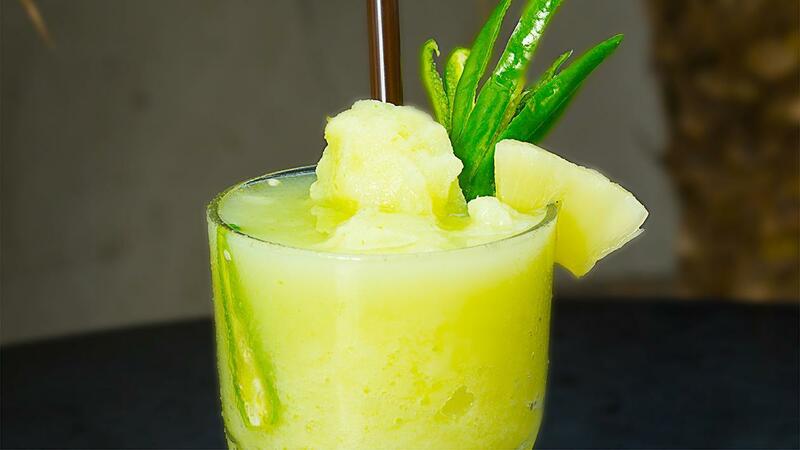 Pineapple is refreshing, and the chilli adds another level to the flavour. See the recipe below! Bring sugar, water and Knorr Lime Seasoning to a simmer. Dissolve sugar to create a sugar syrup. In a bar blender add pineapple chunks and chilli. Top up with sugar syrup and blend. Ready to serve.